Should the winners select the lump sum option, each would get a one-third share of $381,138,450.16 before taxes. The other option is an annuity, under which the lottery would make payments 30 times over 29 years. The largest payout in U.S. history was to three ticketholders in the Mega Millions game, the other national lottery drawing. 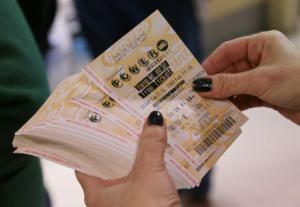 That was a $656 million prize won in March 2012 by players in Kansas, Illinois and Maryland. The winning numbers in Wednesday’s drawing were: 11, 13, 25, 39, 54 and the Powerball 19. The jackpot now goes back to $40 million for the next drawing on Saturday.